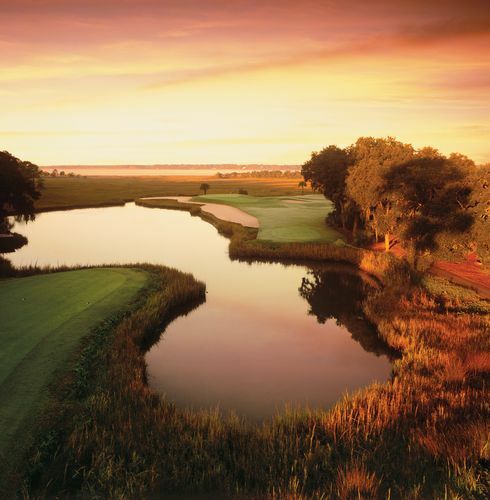 Home to The Heritage Tournament on the PGA Tour, Harbour Town Golf Links features narrow fairways with many opportunities to admire the beauty of its lagoons, oaks, and palm trees. Known for having small greens, Harbour Town can be very challenging when the wind picks up. The par-threes at Harbour Town are consistently among the top in the world, and holes 17 and 18 lining the Calibogue Sound are tremendous finishing holes. Hole no. 18 is one of the most formidable holes in golf. A PGA Caliber golf course, played by the pro's and great for all Hilton Head golf vacations! Course will be CLOSED from May 4 to October 4, 2015.